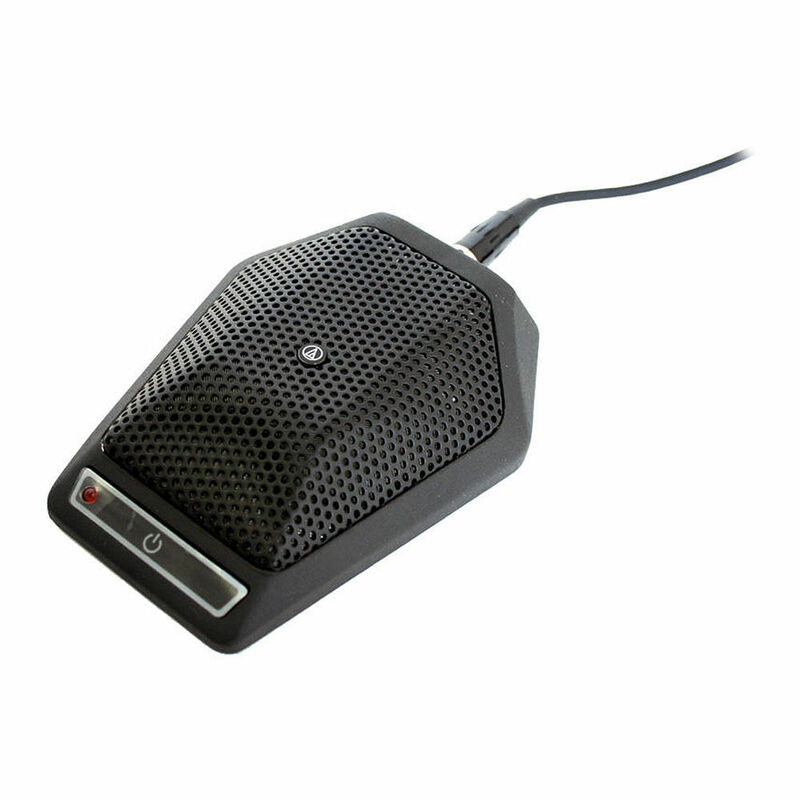 The Audio-Technica U891R UniPoint Condenser Boundary Microphone from Vaddio is identical to the standard Audio-Technica distributed model and is recommended for use with the Vaddio MicVIEW Teleconference Switcher / Mixer system. The U891R features a half-cardioid polar pattern, LED status indicator, programmable membrane switch and is impervious to RF (Radio Frequency) interference. The half-cardioid polar pattern provides a generous pick up at the top and perimeter sections while eliminating off-axis surface noise due to reflections. A programmable membrane switch provides push On/push Off, push-to-talk and push-to-mute modes. A low frequency roll-off switch eliminates low frequency noise at 80Hz. Noise due to Radio Frequency Interference (RFI) is eliminated due to specialized shielding within the structure of the microphone and cable. Optional microphone capsules are available and provide different polar patterns. An omni-directional capsule provides a 360 degree pick up range while the hyper-cardioid features a 100 degree area. The die-cast metal and foam pads combine to reduce noise caused by surface vibration. The pivoting output connector enables flexible surface installation, a standard XLR output cable is supplied. Box Dimensions (LxWxH) 9.8 x 5.1 x 2.8"